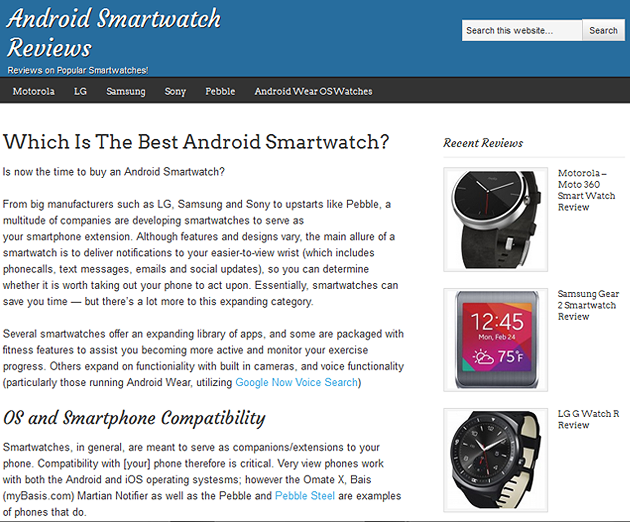 I created Android Smartwatch Reviews to hone my content writing and SEO skills. I picked a niche that I had some interest in (we are an Android phone household), did some research as to average monthly searches of keywords, (e.g. watch types), and built out a site featuring the top Android Wear watches available for “2014“; my current 9-5 workload has not allowed much time to update the site.